And before starting, let’s remember that dogmatic thinking stunts growth and innovation so consider the list as a set of guidelines and not written-in-stone rules. And if I missed anything that you consider to be important, feel free to comment below! It is very difficult to know exactly what will be the bottleneck in practice. Attempting to optimize prior to having empirical data is likely to end up increasing code complexity and room for bugs with negligible improvements. Prioritize writing clean and readable code that works first, using known and tested algorithms and tools. Use profiling tools when needed to find bottlenecks and optimize the priorities. Rely on measurements and not guesses and speculation. Caching before profiling to find the bottlenecks. Using complicated and unproven “heuristics” instead of a known mathematically correct algorithm. Choosing a new and untested experimental web framework that can theoretically reduce request latency under heavy loads while you are in early stages and your servers are idle most of the time. The tricky part is knowing when the optimization is premature. It’s important to plan in advance for growth. Choosing designs and platforms that will allow for easy optimization and growth is key here. It’s also possible to use “premature optimization” as an excuse to justify writing bad code. Example: writing an O(n2) algorithm to solve a problem when a simpler, mathematically correct, O(n) algorithm exists, simply because the simpler algorithm is harder to understand. Profile before optimizing. Avoid trading simplicity for efficiency until it is needed, backed by empirical evidence. Every once in a while we’d interrupt that to discuss the typography and the color of the cover. And after each discussion, we were asked to vote. I thought it would be most efficient to vote for the same color we had decided on in the meeting before, but it turned out I was always in the minority! We finally chose red. (It came out blue. 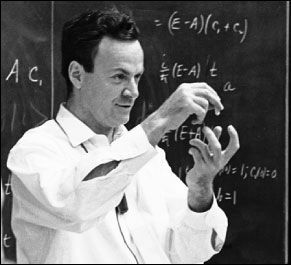 )Richard Feynman, What Do You Care What Other People Think? Tendency to spend excessive amounts of time debating and deciding on trivial and often subjective issues. It’s a waste of time. Poul-Henning Kamp goes into depth in an excellent email here. Encourage team members to be aware of this tendency, and to prioritize reaching a decision (vote, flip a coin, etc. if you have to) when you notice it. Consider A/B testing later to revisit the decision, when it is meaningful to do so (e.g. deciding between two different UI designs), instead of further internal debating. Richard Feynman was not a fan of bikeshedding. Spending hours or days debating over what background color to use in your app, or whether to put a button on the left or the right of the UI, or to use tabs instead of spaces for indentation in your code base. Bikeshedding is easier to notice and prevent in my opinion than premature optimization. Just try to be aware of the amount of time spent on making a decision and contrast that with how trivial the issue is, and intervene if necessary. Avoid spending too much time on trivial decisions. Over-analyzing to the point that it prevents action and progress. Over-analyzing can slow down or stop progress entirely. In the extreme cases, the results of the analysis can become obsolete by the time they are done, or worse, the project might never leave the analysis phase. It is also easy to assume that more information will help decisions when the decision is a difficult one to make ― see information bias and validity bias. Again, awareness helps. Emphasize iterations and improvements. Each iteration will provide more feedback with more data points that can be used for more meaningful analysis. Without the new data points, more analysis will become more and more speculative. Spending months or even years deciding on a project’s requirements, a new UI, or a database design. It can be tricky to know when to move from planning, requirement gathering and design, to implementation and testing. Prefer iterating to over-analyzing and speculation. Classes that control many other classes and have many dependencies and lots of responsibilities. God classes tend to grow to the point of becoming maintenance nightmares ― because they violate the single-responsibility principle, they are hard to unit-test, debug, and document. Avoid having classes turn into God classes by breaking up the responsibilities into smaller classes with a single clearly-defined, unit-tested, and documented responsibility. Also see “Fear of Adding Classes” below. Look for class names containing “manager”, “controller”, “driver”, “system”, or “engine”. Be suspicious of classes that import or depend on many other classes, control too many other classes, or have many methods performing unrelated tasks. God classes know about too many classes and/or control too many. As projects age and requirements and the number of engineers grow, small and well-intentioned classes turn into God classes slowly. Refactoring such classes can become a significant task. Avoid large classes with too many responsibilities and dependencies. Belief that more classes necessarily make designs more complicated, leading to a fear of adding more classes or breaking large classes into several smaller classes. Adding classes can help reduce complexity significantly. Picture a big tangled ball of yarns. 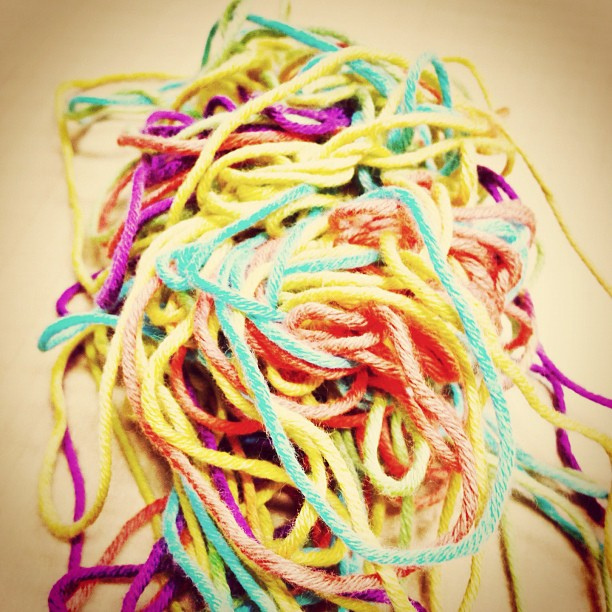 When untangled, you will have several separated yarns instead. Similarly, several simple, easy-to-maintain and easy-to-document classes are much preferable to a single large and complex class with many responsibilities (see the God Class anti-pattern above). Of course, this is an obvious example, but it illustrates the point: larger classes with conditional or complicated logic in them can, and often should, be broken down into simpler classes. The resulting code will have more classes but will be simpler. Adding classes is not a magic bullet. Simplifying the design by breaking up large classes requires thoughtful analysis of the responsibilities and requirements. More classes are not necessarily a sign of bad design. The tendency for complex software systems to re-implement features of the platform they run in or the programming language they are implemented in, usually poorly. Platform-level tasks such as job scheduling and disk cache buffers are not easy to get right. Poorly designed solutions are prone to introduce bottlenecks and bugs, especially as the system scales up. And recreating alternative language constructs to achieve what is already possible in the language leads to difficult to read code and a steeper learning curve for anyone new to the code base. It can also limit the usefulness of refactoring and code analysis tools. Learn to use the platform or features provided by your OS or platform instead. Avoid the temptation to create language constructs that rival existing constructs (especially if it’s because you are not used to a new language and miss your old language’s features). Using your MySQL database as a job queue. Reimplementing your own disk buffer cache mechanism instead of relying on your OS’s. Writing a task scheduler for your web-server in PHP. Defining macros in C to allow for Python-like language constructs. In very rare cases, it might be necessary re-implement parts of the platform (JVM, Firefox, Chrome, etc.). Avoid re-inventing what your OS or development platform already does well. Using unnamed numbers or string literals instead of named constants in code. What are the two numbers there? Assume the first is window width and the second in window height. If it ever becomes necessary to change the width to 800 instead, a search and replace would be dangerous since it would change the height in this case too, and perhaps other occurrences of the number 600 in the code base. String literals might seem less prone to these issues but having unnamed string literals in code makes internationalization harder, and can introduce similar issues to do with instances of the same literal having different semantics. For example, homonyms in English can cause a similar issue with search and replace; consider two occurrences of “point”, one in which it refers to a noun (as in “she has a point”) and the other as a verb (as in “to point out the differences…”). Replacing such string literals with a string retrieval mechanism that allows you to clearly indicate the semantics can help distinguish these two cases, and will also come in handy when you send the strings for translation. Use named constants, resource retrieval methods, or annotations. There is a narrow grey area where it can be hard to tell if certain numbers are magic numbers or not. For example the number 0 for languages with zero-based indexing. Other examples are use of 100 to calculate percentages, 2 to check for parity, etc. Avoid having unexplained and unnamed numbers and string literals in code. Strict reliance on numbers for decision making. Numbers are great. The main strategy to avoid the first two anti-patterns mentioned in this article (premature optimization and bikeshedding) was to profile or do A/B testing to get some measurements that can help you optimize or decide based on numbers instead of speculating. However, blind reliance on numbers can be dangerous. For example, numbers tend to outlive the models in which they were meaningful, or the models become outdated and no longer accurately represent reality. This can lead to poor decisions, especially if they are fully automated ― see automation bias. 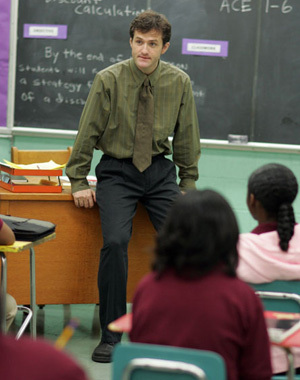 Do you find yourself commiserating with Pryzbylewski from the HBO show The Wire, Season 4? Another issue with reliance on numbers for determining (and not merely informing) decisions is that the measurement processes can be manipulated over time to achieve the desired numbers instead ― see observer-expectancy effect. Grade inflation is an example of this. The HBO show The Wire (which, by the way, if you haven’t seen, you must!) does an excellent job of portraying this issue of reliance on numbers, by showing how the police department and later the education system have replaced meaningful goals with a game of numbers. Or if you prefer charts, the following one showing the distribution of scores on a test with a passing score of 30%, illustrates the point perfectly. Score distribution of the high school exit exam in Poland with passing score of 30%. Source in Polish, and the the Reddit post that I first saw this in. Use measurements and numbers wisely, not blindly. Using only lines of code, number of commits, etc. to judge the effectiveness of programmers. Measuring employee contribution by the numbers of hours they spend at their desks. The larger the scale of operations, the higher the number of decisions that will need to be made, and this means automation and blind reliance on numbers for decisions begins to creep into the processes. Use numbers to inform your decisions, not determine them. Useless classes with no real responsibility of their own, often used to just invoke methods in another class or add an unneeded layer of abstraction. Poltergeist classes add complexity, extra code to maintain and test, and make the code less readable—the reader first needs to realize what the poltergeist does, which is often almost nothing, and then train herself to mentally replace uses of the poltergeist with the class that actually handles the responsibility. Don’t write useless classes, or refactor to get rid of them. Jack Diederich has a great talk titled Stop Writing Classes that is related to this anti-pattern. You can only imagine my confusion looking at the reference solution, trying to figure what the point of the LabStack class was, and what the students were supposed to learn from the utterly pointless exercise of writing it. In case it’s not painfully obvious what’s wrong with the class, it’s that it does absolutely nothing! It simply passes calls through to the LinkedList object it instantiates. The class changes the names of a couple of methods (e.g. makeEmpty instead of the commonly used clear), which will only lead to user confusion. The error checking logic is completely unnecessary since the methods in LinkedListalready do the same (but throw a different exception, NoSuchElementException, yet another possible source of confusion). To this day, I can’t imagine what was going through the authors’ minds when they came up with this lab material. Anytime you see classes that do anything similar to the above, reconsider whether they are really needed or not. Update (May 23rd, 2015): There were interesting discussions over whether the LabStack class example above is a good example or not on Hacker News as well below in the comments. To clarify, I picked this class as a simple example for two reasons: firstly, in the context of teaching students about stacks, it is (almost) completely useless; and secondly, it adds unnecessary and duplicated code with the error-handling code that is already handled by LinkedList. I would agree that in other contexts, such classes can be useful but even in those cases, duplicating the error checking and throwing a semi-deprecated exception instead of the standard one and renaming methods to less-commonly-used names would be bad practice. The advice here at first glance looks to be in direct contradiction of the advice in “Fear of Adding Classes”. It’s important to know when classes perform a valuable role and simplify the design, instead of uselessly increasing complexity with no added benefit. Avoid classes with no real responsibility. ← What is an anti-pattern?